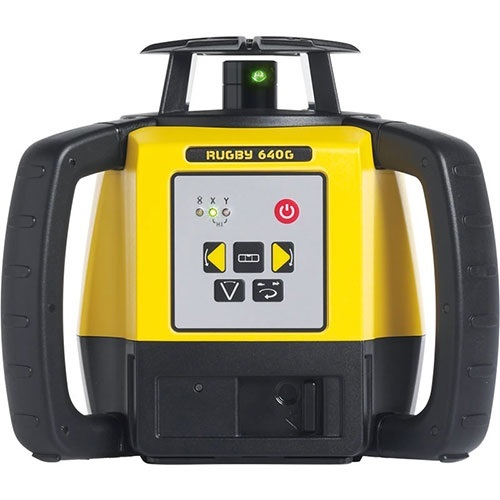 The Rugby 640G is designed for leveling, aligning, and squaring applications for working both inside and outside. The green beam uses the latest in green diode technology, visible up to 30 metres without a receiver. An IP 67 protection and up to 60 hours operating time make these lasers the most trusted and rugged choice for any interior project.